You asked for RADAR converters. We listened. For the past 15 years, the converter technology that makes RADAR the best-sounding multi-track in the business had been exclusively available to RADAR users. With the introduction of the ADA series, RADAR’s superior converter technology is available for the first time in a stand-alone device. ADA Converters…high-end, multi-channel A/D & D/A converters that bring the rich purity of analogue recording to the world of workstations. 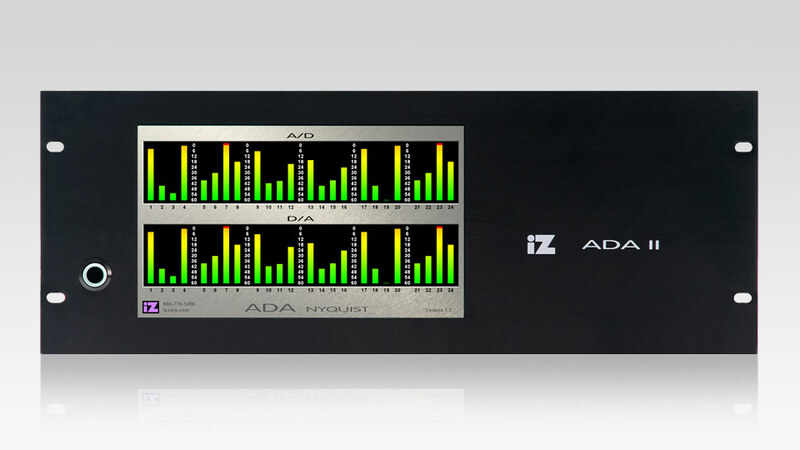 Featuring pristine iZ conversion, an innovative modular I/O structure, intuitive touchscreen controls, and direct interfacing to native DAWS and Pro Tools, ADA is a powerful tool designed to meet the creative and technical needs of true audio professionals. 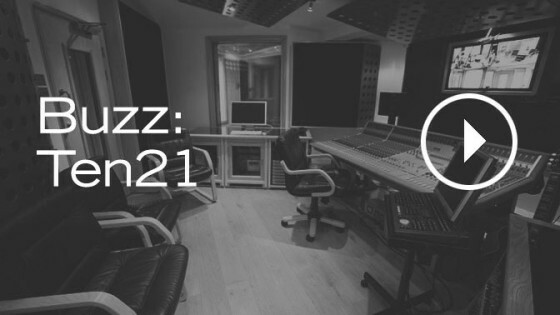 Professional-quality sound is a choice. Choose to boost audio fidelity with the most transparent, true-to-source conversion available on the market. 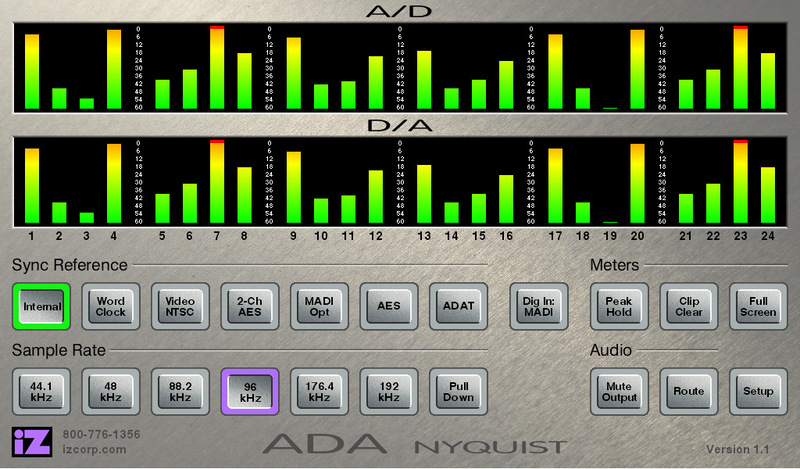 ADA converters use the high-quality Classic 96 or Ultra Nyquist converter technology found in the iZ RADAR 6 recorder to bring you signature iZ sound. 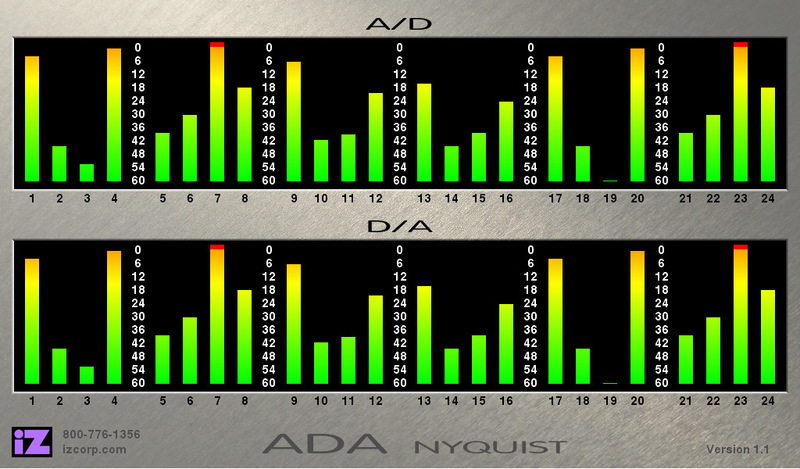 Read more about ADA II’s Sound Technology. Workstation audio comes to life through ADA converters. 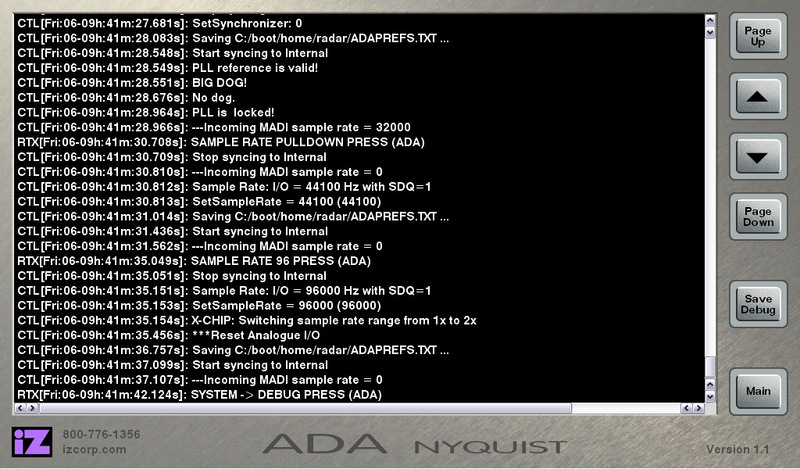 ADA connects to Logic, Nuendo, REAPER, and other native DAWs via low-latency, low-jitter MADI digital I/O. 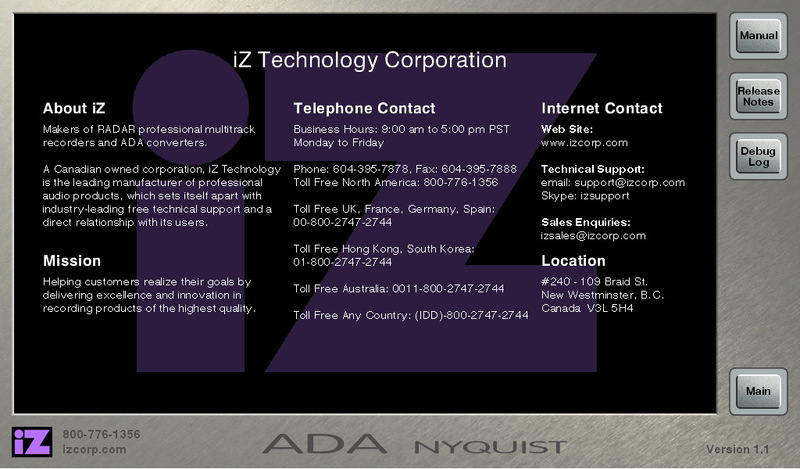 For Pro Tools|HD users, add an iZ Dual Pro Tools|HD Option Card to ADA and plug directly into the Pro Tools Core Card. 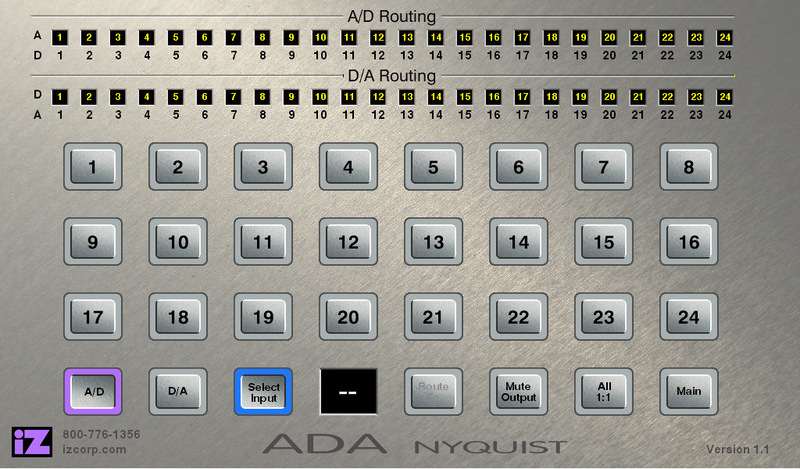 Each ADA is made-to-order in 8, 16, or 24 channel configurations with customizable I/O ratios. With its ground-breaking modular design, ADA evolves over time as your studio needs change – re-configure I/O ratios and add channel-count to the original ADA unit whenever needed. 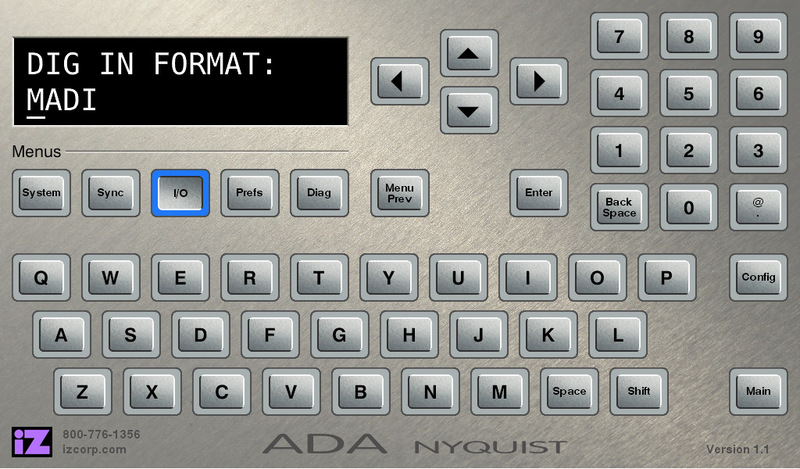 With a single touch, ADA’s Graphic User Interface controls settings and preferences – including the comprehensive A/D & D/A routing options. Full screen mode brings all 48 high-resolution meters into view for accurate reference monitoring.